Whether buyers are looking to expand their real estate portfolio or are simply looking to find their ideal home, great deals can be found in Dubai’s off-plan real estate sector as developers face pressure to shift their inventory amid a concern that the market is oversupplied. However, it is critical that prospective buyers do their homework; work with a reputable broker and a reputable lawyer who understand the off-plan market in Dubai. Over the last few years off-plan buyers have had the opportunity to invest and enjoy returns with minimal capital outlay. Investors, in particular, have been able to spread their investments and hedge their purchases over several projects in order to maximize future gains. The affordable sector in particular has seen strong returns with yields exceeding 8 per cent in the last year in communities such as Jumeirah Village Triangle, Jumeirah Village Circle and International City. While off-plan transactions were up 36 per cent last year according to the Dubai Land Department (DLD) , there are signs in recent months that demand in the sector has softened with the pendulum slowly swinging back to the secondary market. A major concern for many is that the significantly increased upcoming supply will have a negative impact on future values. Memories of the 2008-09 financial downturn still loom large and the fear is that with 42,000 units under construction, where will the demand for these units come from? Picking off-plan projects with attractive amenities and services such as schools, shops and recreational facilities, coupled with good transport links and infrastructure, will help future proof any off-plan investment. Build quality and the reputation of the developer are also important factors to consider, especially if you are hoping for the property to be handed over on time. 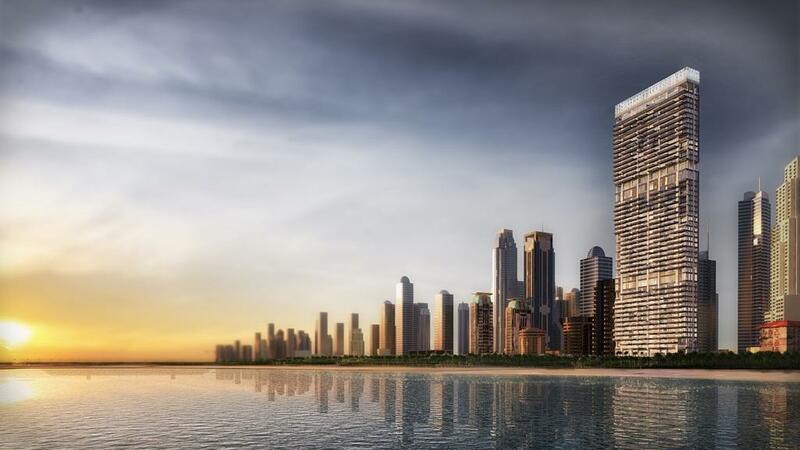 Off-plan real estate investment in Dubai is governed by a set of real estate laws and regulations aimed at protecting buyers’ interests, the most important of which are discussed below. The interim registration law, Law 13 of 2008 (as amended), requires all sales and all other disposals of off-plan units to be registered on the interim real estate register maintained by the DLD. If a sale is not registered, it is considered null and void. • if the developer has not commenced the execution of the project for reasons beyond his control and without negligence on his part, the developer may deduct not more than 30 per cent of the amounts paid by the buyer. Furthermore, the trust account law (Law 8 of 2007) protects buyers by requiring developers selling off-plan units to be registered with the Real Estate Regulatory Agency (Rera), and to deposit all amounts paid by purchasers into an escrow account with an escrow agent accredited by the DLD. The amounts deposited in the escrow account are exclusively allocated for the purposes of construction of the particular real estate project (and directly related activities) and may only be withdrawn by the developer on application to Rera in accordance with the law. Finally, pursuant to the jointly owned property law (Law 27 of 2007) and the directions released in 2010, developers must disclose all relevant information pertaining to their off-plan development in a “Disclosure Statement” to prospective buyers as well as have a jointly owned property declaration describing the common areas and the rules and regulations associated with them including the calculation of service charges.